This week Will reconciles the fact that he doesn’t want to go to Therapy with Woody Allen…but still is attached to his films. However, in Woody Allen’s case he’s been doing this for over 50 years. His pace clocks in at almost a film a year…and that’s just directing. His writing credits are another abundant story. I’ve been acquainted with the films of Woody Allen for near 20 years and had no idea he wrote plays. So much of what he creates can fly under the radar simply because there is so much of it. He doesn’t stop making film or writing plays or playing jazz. Last week, I was able to sojourn to the east bay and see the Actors Ensemble of Berkley production of Relatively Speaking. This showcases three one act comedies: “Talking Cure” by Ethan Coen, “George is Dead” by Elaine May, and “Honeymoon Motel”by … you guessed it… Woody Allen. Each of these three writers excel in their craft. Yet the JPM (jokes per minute) count falls easily in Allen’s court. He delves into his own creative archetypes (The wise cracking rabbi, the shrewd wife, the witty but morally questionable leading man, the baseball-loving best friend, the young mistress, the wise everyman who shows up with the moral, etc) and then packs in as many jokes as possible. It’s terribly funny and the physical hilarity is very well orchestrated. Colin Johnson, who directed “Honeymoon Motel” had this to say, “Our play is gonna feel like the early, funny Woody. Even though he wrote the play in 2011, it’s more in the vein of [his films] Bananas (1971) and Sleeper (1973) and padded with a lifetime of punch lines.” Having watched Bananas recently I can tell you that similarly to “Honeymood Motel” the jokes are rapid, the physical comedy is ridiculously and the plot is…there to hold up the jokes. Since it is comedy, the thin plot works. To quote the movie, if anyone were taking this story seriously it would be “a travesty… a travesty of a mockery of a sham of a mockery of a travesty of two mockeries of a sham.” Seeing Woody deliver that line in Bananas never fails to crack me up. Hell, even reading it in plain white print makes me chuckle. There is no doubt he knows his craft. He’s been nominated for 24 Academy Awards, four of which he won. Six different actors have earned Oscars in his films and three times as many were nominated. We are all aware the list of accolades goes on. The films keep coming. But Allen often appears dismissive of his films. Is this just part of his self-depreciation persona or are other personal issue at play? Does Woody Allen even care about his beloved films? More importantly, does that change how we receive his films? It sounds as if, he makes film out of compulsion instead of any need for artistic gratification. His creative sensibilities are like a faucet that gurgles and spouts and flows smooth but cannot be shut. It makes sense from that stand point that the Golden Globes named him this year’s Cecil B. Demille award recipient for life time achievement. 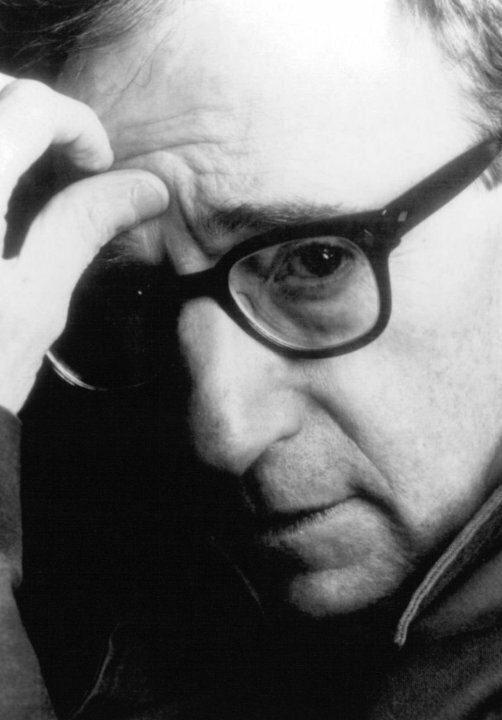 Although his quote above was entirely dismissive, Allen also has said this, “All the success over it or the rejection, none of that really matters because in the end, the thing will survive or not survive on its merits.” I would say that regardless of personal taste, it would take a particular narrow outlook to say Woody Allen is without merit. Not many are saying that but from time to time an artist like Allen has his art overshadowed by his personal life. What we often get is a split between private and artistic personas. Allen strays from public life, refraining from plentiful interviews and avoiding award ceremonies. Yet he puts so much of himself into his film year in and year out, it is easy to feel like you know him. To be honest these issues are hard for me to reconcile. When I started out writing, my point was going to round the “art before the artist” stance. I felt that my interaction with Woody Allen was clear-cut. He makes movies, I watch them. What does it matter what his personal life is like? I don’t have to hang out with him. Often I have this response. I don’t have to get a drink with Mel Gibson, I don’t have to buy a sofa with Tom Cruise, and I don’t have to go to therapy with Woody Allen. Though I do love many of the movies they’ve made. The nature of art and artists are complicated in grey. Oversimplifying does not do justice to either side. My enjoyment is now murky. In the end, I can definitively say this: Woody Allen’s contribution to cinema is immense, I hold a handful of his films close to my heart, I will continue to see them and you should see Relatively Speaking (with the Allen penned “Honeymoon Motel”) at the Live Oak Theatre. With all of his neurosis distilled down to punch lines, just like the best of his pure comedies, it’s worth the time. Any number of Woody Allen films can be streamed or rented through the regular streaming avenues. Fine, Alex. 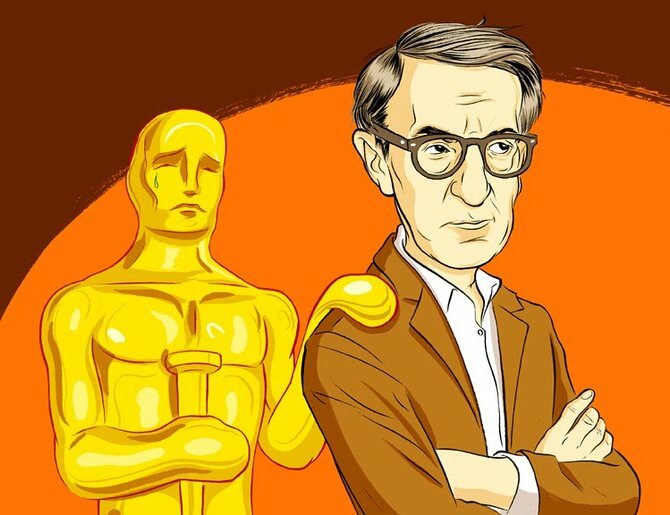 Woody Allen Oscar. N.d. Photograph. http://www.whitezine.comWeb. 21 Jan 2014. 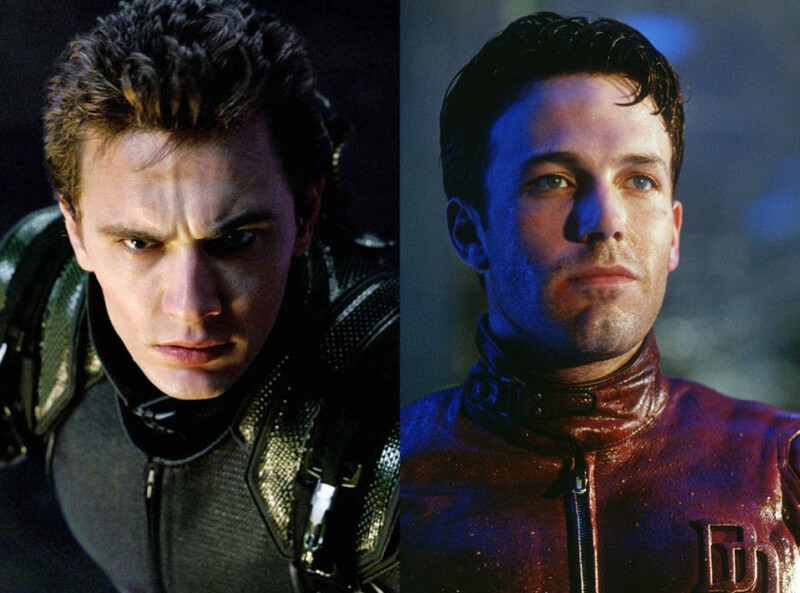 James Franco, Spiderman, Ben Affleck, Daredevil. 2013. Photograph. http://www.eonline.comWeb. 21 Jan 2014. Kaminska, Anna. Final Dress Rehearsal. 2013. Photograph. http://www.aeofberkley.org. Web. 21 Jan 2014. Still of Woody Allen. N.d. Photograph. http://www.imdb.comWeb. 21 Jan 2014.